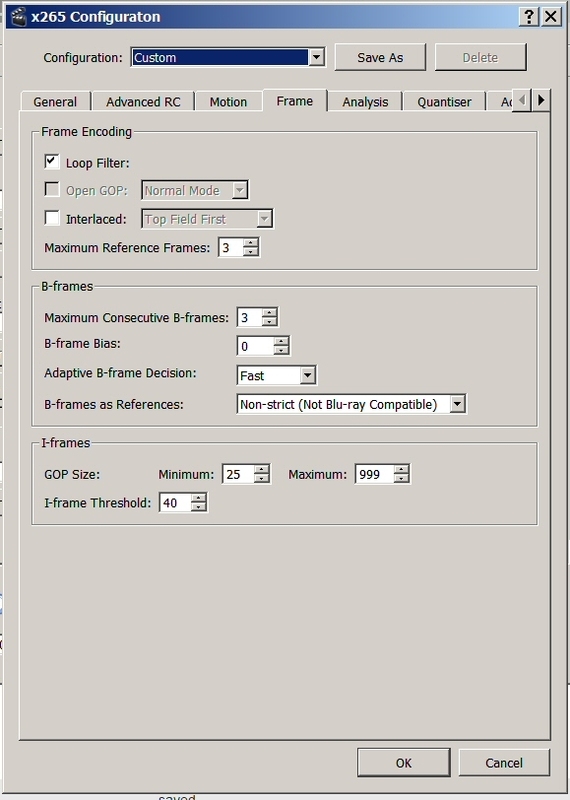 My avidemux setup does not show Xvid, but Xvid4. Please check the attached picture. Before I go nuts, decided to ask you for some guidance. Hey Mauro, I think Xvid4 should work fine - if it doesn't let me know! 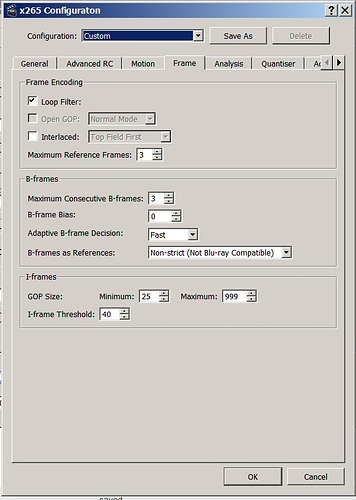 Tried, but when I open the FRAMES tab on configuration, it does not show "Maximum i-frame interval". This is epic... I always wanted to make I/P-frame operations. Thanks a lot! Here is my example of video binary hexedit. Daala codec corruption example. This is awesome! I want to do Daala and Snow codec tutorials next Do you know of any other experimental ones? No, rather no. I checked once all included in ffmpeg, some gives really good artifacts (cavs, dirac, hevc). In the video I intend to explain the relationships between characters of the movie Drive visually, as well as selecting pictures that represent what the song is talking about and the characters feelings emotions and background. It is much bether understood if you have seen the movie. Anyways im just posting here to see if im alone or not in the tought of being sick of people tagging simple datamoshed clips as "art". I AM DEAD SERIOUS a couple of weeks earlier I went to an art museum and saw like 7 random clips from the movie Fisrt Blood (Rambo) datamoshed together with no explanation what so ever... "ART". So I would really appreciate some critisism in the montage, Thanks! Hello, I don't speak quite well english so I'm sorry but I'll try, firstly thanks for the tutorial. Now I go straight to the point, I've done two times the avidemux procedur and I did great (https://giphy.com/gifs/l3V0GrsItVGnVQk6I), but now it happen something strange with every video I try to do the 1st export with max limit and after that my video became a full i-frames. Why?? Can you help, please i'm going to lose my mind with it. i do think there should be a separation and understanding of the tool and an understanding of whatever you want to call art which for me is an aesthetic form in which i can turn my ideas and emotions into objects - may they be sound - image - narative - time based or non time based art . Thanks for the very intriguing tutorial, I tried to do it on a Mac, but most options and settings in Avidemux are different, starting with no option for MPG-4 ASP (Xvid). I tried using the Mpeg4 AVC (x264) option, but from there on I didn't get any results like you did, despite using your files. I'm wondering if anyone else has successfully done this on a Mac? Also once again on Mac OS X Avidemux V2.6.5 I was unable to copy a P-frame as described, the app wouldn't allow it. I've only one one piece of footage success and that was with the MPEG-4 (x264) file type on one of the newer versions of Avidemux. I did export the files as H.264 files which may have played a part? I'm not quite sure. 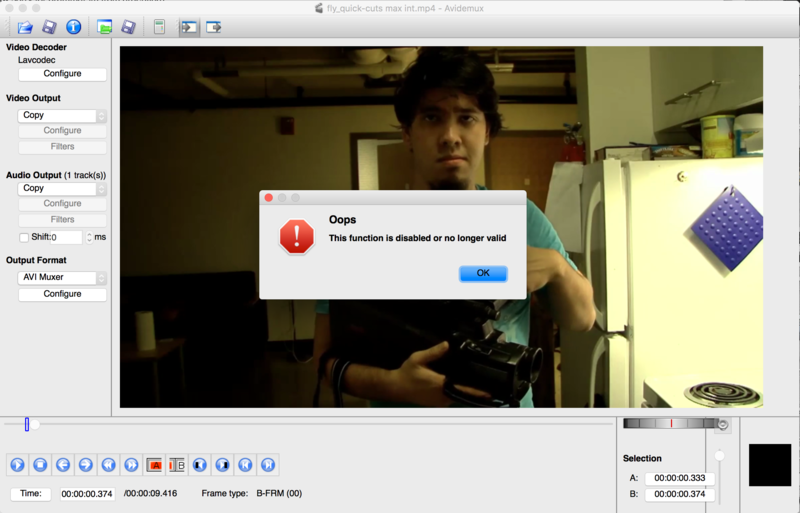 I have followed your steps precisely with raw footage but it doesn't seem to work the same or doesn't work at all. Any tips or advice you could give? this is also the same for P frame duplication, as the same action just keeps repeating rather than any distortion with the pixels. Hey Ryan (and others), apologies for being out of touch with this thread. It's difficult to debug your issues because this is very buggy software that has different versions for different OSes, etc. - the best tip I can give right now is to try to make sure that you convert your files into AVI files (as opposed to MP4/H.264) before working with them in Avidemux, as this type of glitch with this software depends on using the AVI format. Let me know if this helps at all. If you have command line experience, you could try using http://github.com/wayspurrchen/moshy to prep your files for usage in avidemux. It's started to work again but for some reason I can't do it the same as you guys. I have to use H.264 files which is what you've obviously said, but copy the file to [Mpeg-ASP (xvid4)]. From there it seems to work as normal then. Haven't converted it back to a jpg file otherwise I would share my datamosh but thanks for your help! this tutorial is great to use and I really appreciate it. You need to download Tweet2gif on your android mobile to save twitter gifs on your android phone. Hi, I have a bit of a problem, I can't find the right configuration windows, whenever i open Configurate I get another window but not the one in the tutorial. Then import that file into avidemux and mosh away. Can we change the extension of the output video by the help of tools made by https://errorcode0x.com/error-code-0x80070002/ ?? ?